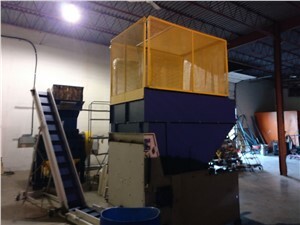 23.6" (600mm)Weima Single Shaft Shredder, Model WL4, 2014 Extremely Low Hours! Since 1986, Weima has been known for shredders and briquette presses. Weima manufacturers shredders for metal, paper, plastic, waste and wood. Popular models of shredders for plastics include the WLK, ZM, WNZ, WSM, WKS and Spider Series. Weima's manufacturing plants are located in Gemany. In 1999, they opened a sales, final assembly and service center in Fort Mll, South Carolina.